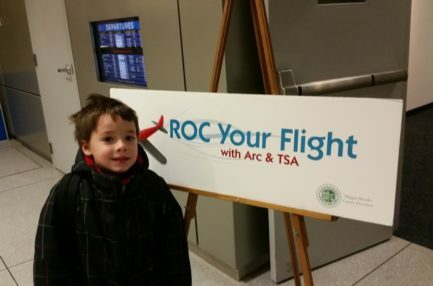 One thing on which all traveling families can agree: air travel as a family isn’t easy, especially with young children. For great words of wisdom about how people of all ages cope, review the articles listed below. There will come a time when this writer and her husband will travel on their own again, but for now, they travel with family because they want to remember how they became a family. It’s a polarizing issues among travelers, and yet more families than ever are traveling with infants and toddlers on vacations near and far. All children benefit from traveling. Travel is full of teachable moments. Children with special needs are no different. Travel provides opportunities to practice and improve social and communication skill and promotes cognitive growth. Last week saw only partial success after the push to support family-friendly language to help families flying together sit together. The Family Travel Association has thrown its weight behind a congressional effort to pass language from the Families Flying Together Act. Kids with autism have difficulties with an overload of the senses. Imagine what a flight is like. So here’s a special flight program that introduces the flight experience to kids with special needs.